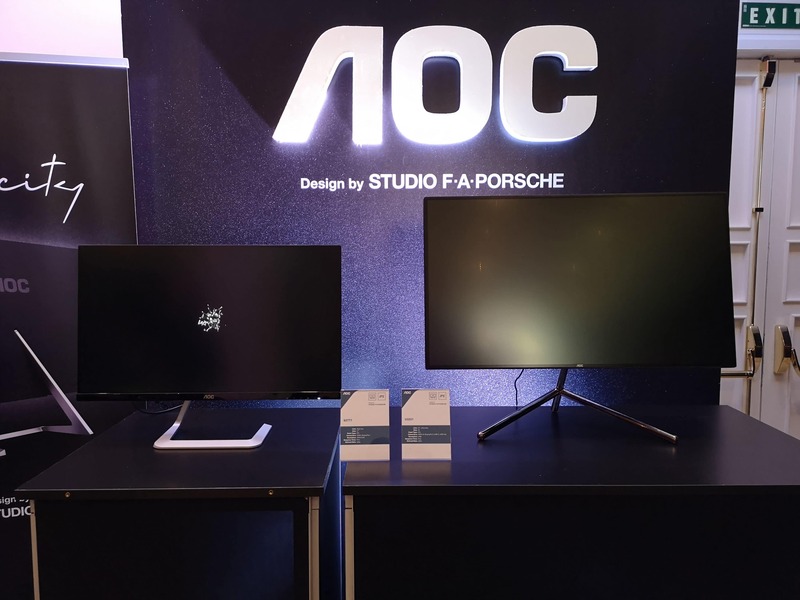 The Taiwanese display specialist AOC in cooperation with the German studio F. A. Porsche introduced two new design monitors. 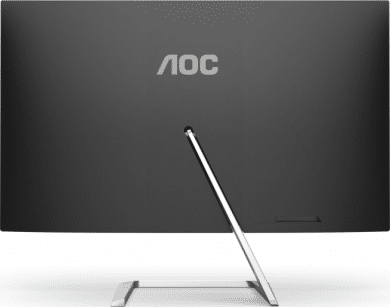 The AOC U32U1 was specially developed for demanding business users. 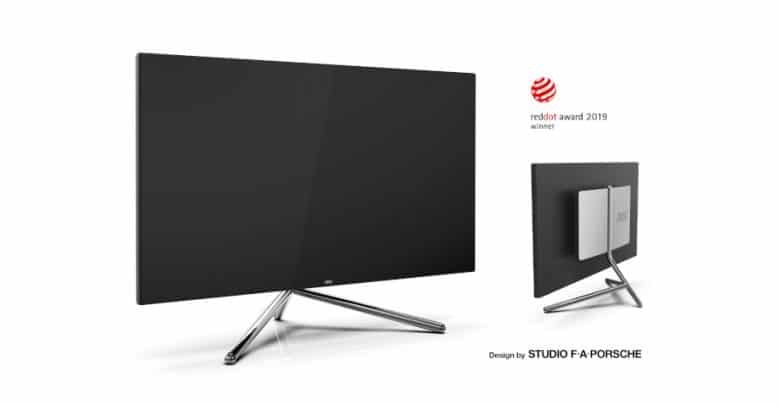 Thanks to its striking design, the monitor has already won the Red Dot Design Award. 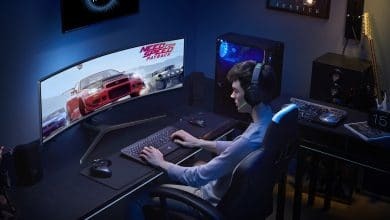 The 31.5-inch monitor offers 4K resolution (3,840 x 2,160 pixels) as well as DisplayHDR600 according to HDR 10 standard. 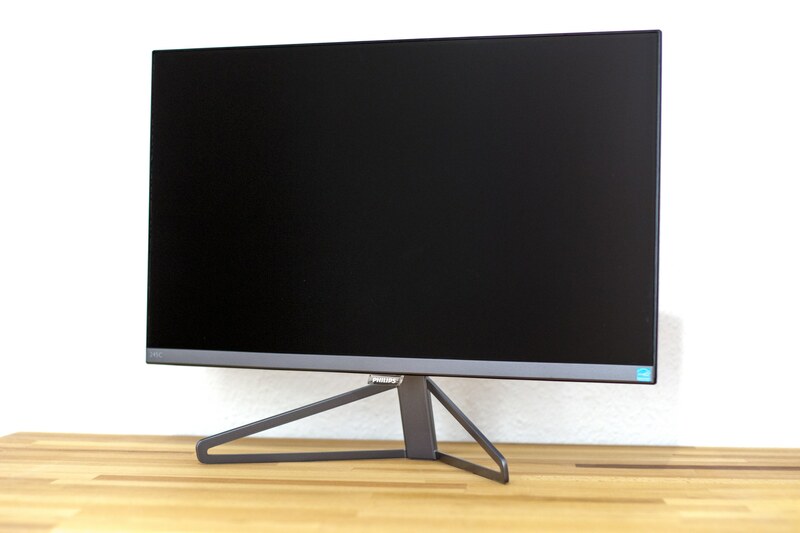 With 10-bit color depth and 1.07 billion colors covered, the monitor is ideal for professionals such as photographers and designers who demand accurate color reproduction. 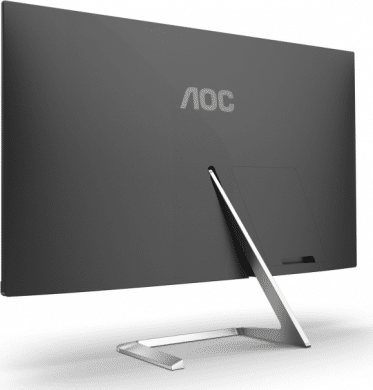 This is also underlined by the 90% covered DCI-P3 color space of the AOC U32U1. 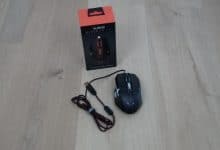 AOC also wants to be on the ball with the U32U1 when it comes to connectivity. In addition to HDMI 1.4 and DisplayPort 1.2, HDMI 2.0 is also supported. 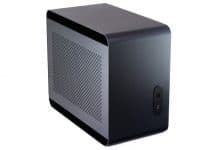 In addition, a USB 3.1 HUB and a USB type C port are integrated, which can be used to charge external devices with up to 65 watts. 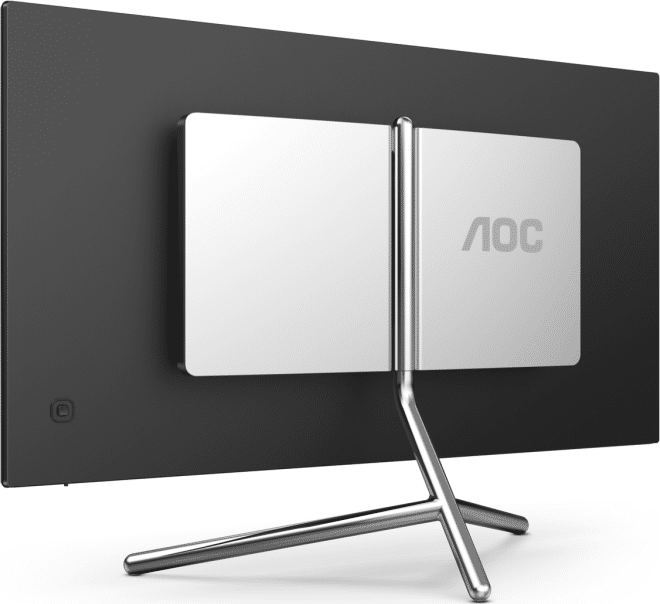 In addition to its outstanding technical values, the AOC U32U1 is also expected to impress with its design and ergonomics, making it ideal for use in offices or studios furnished to a high standard. AOC compares the design with classic furniture from Bauhaus, for example. 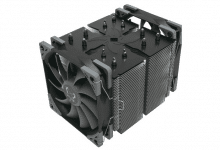 The practically frameless display can be infinitely adjusted in height by up to 120 mm. 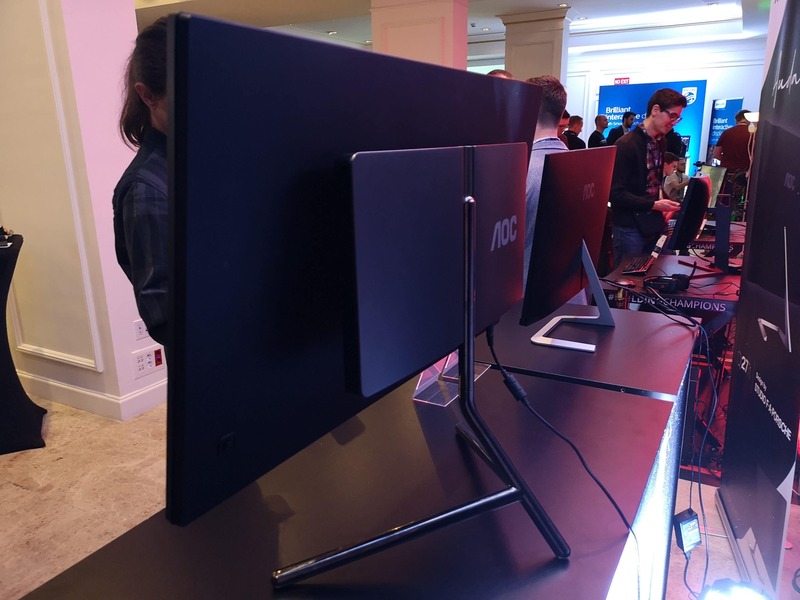 Thanks to the ingenious stand, the cables also remain in the same position in pivot mode (upright mode), as only the display itself has to be moved, but not the stand and the holder. Users who prefer to use a desk mount instead can also do so thanks to the VESA mount. The price of the AOC U32U1 has not yet been released. 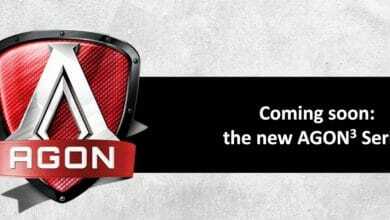 The monitor will appear in the third or fourth quarter of 2019. AOC also introduced the design monitor Q27T1, which will be released in July 2019 for 309 Euro. 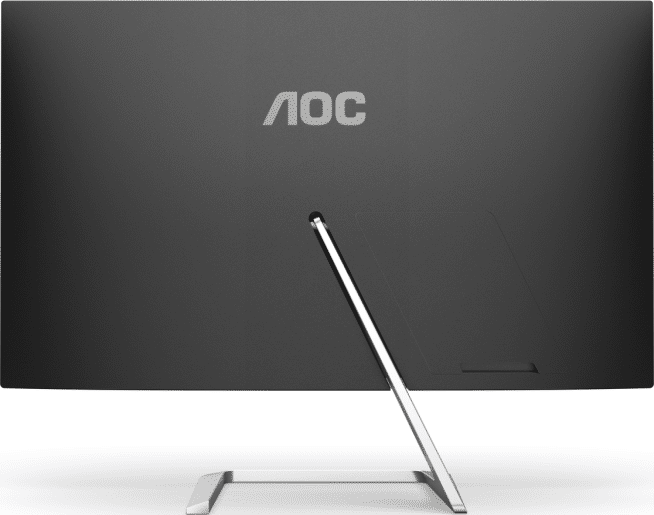 The design of the AOC Q27T1 is particularly striking due to its asymmetrical design, in which the stand is slightly offset to the left. 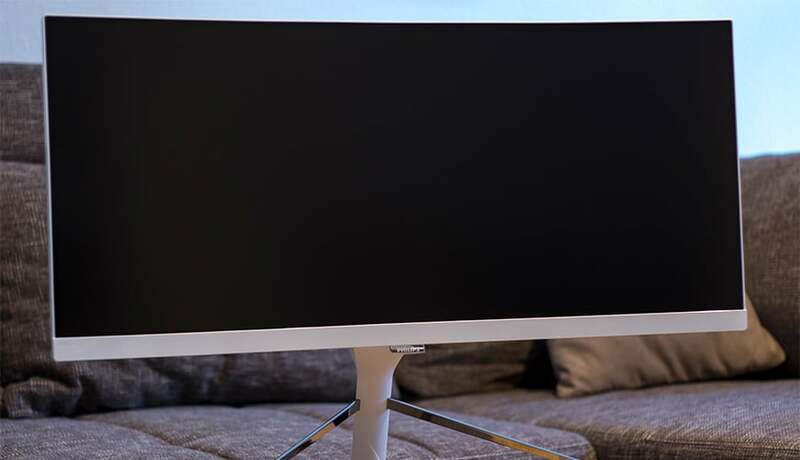 In order not to disturb the view through cables, the monitor has a cover on the back, which hides the connections and ensures a clean cable routing. 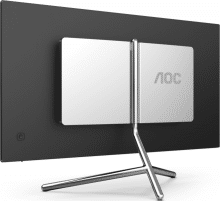 All in all, the monitor looks very tidy with its practically frameless display on three sides. In addition to the striking silver stand, the lower glossy display frame provides a visual accent. 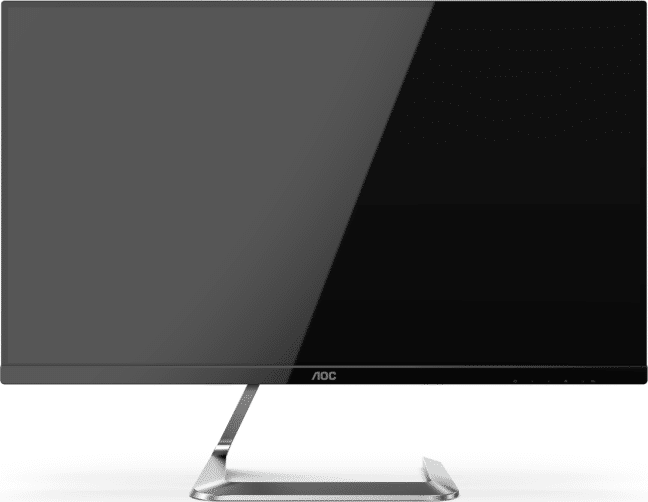 The matt IPS panel has Quad HD resolution (2,560 x 1,440 pixels). The monitor covers 90% of the NTSC color space and offers a high viewing angle as usual with IPS panels. Image sources are connected via a DisplayPort or two HDMI connectors. Unfortunately, the Q27T1 does not offer USB ports.